Whether you’re a serious or beginner birder, you’ll get caught up in the excitement of birding on Alabama’s Gulf Coast. 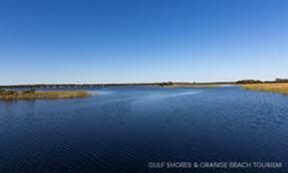 Gulf Shores and Orange Beach are a popular home base for those who like to get out, explore, and see a wide variety of bird species year round. Alabama's Gulf Coast biodiversity is nothing short of amazing. You’ll see majestic bald eagles soaring above the water and resident brown pelicans gliding along the horizon. Raptors, including osprey and a variety of hawks, can be seen gliding on coastal breezes searching for prey. From laughing gulls to mourning doves, the variety of common species is amazing, too. 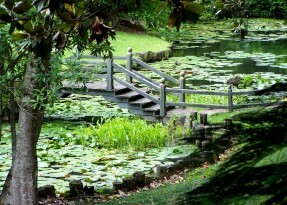 Then, in spring and fall, the area serves as a crucial layover point for migratory neo-tropical birds. These migrating birds following the Mississippi Flyway stop here, adding even more birds of note to any serious birder’s life list. 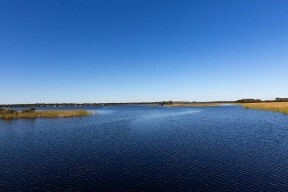 Here on the island, the wealth of protected lands, including the Gulf State Park and the Bon Secour National Wildlife Refuge, offers habitat for bird nests and exceptional viewing areas for folks seeking to spot them. 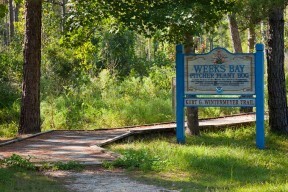 Nearby, the Weeks Bay National Estuarine Research Reserve (one of only 29 in the country), with its boardwalks and Pitcher Plant bog, offers even more opportunity. Perhaps the best-known birding area is nearby Dauphin Island. Just a short ferry ride away, the island has been named one of the “birdiest” sites in the country, with enthusiasts flocking there during migratory seasons. 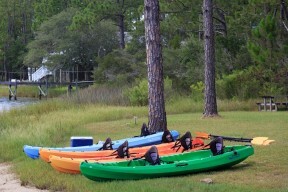 Home to the Dauphin Island Audubon Bird Sanctuary, this is an important part of the Alabama Coastal Birding Trail. 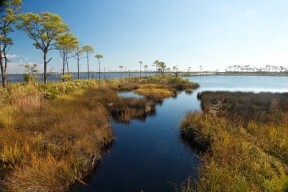 Alabama Coastal Birding Trail comprises six loops that wind through Baldwin and Mobile Counties. The more than 50 sites of the birding trail highlight a variety of public lands. The trail is a composite of the diversity of the region’s prime bird habitat. From dunes and scrub oaks to wetlands to wooded uplands, the many species to be spotted are as varied as the landscape. 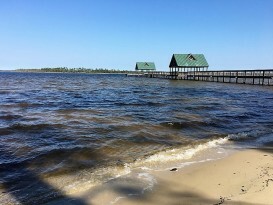 The trail includes Gulf Shores, Orange Beach, Fort Morgan, South Baldwin County, Eastern Shore - Mobile Bay Causeway, Blakeley Island, Mobile - Tensaw River Delta, and the Dauphin Island - Bayou La Batre Loops. 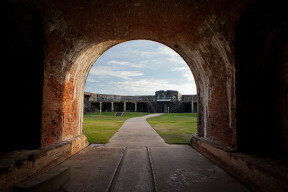 Birmingham Audubon and its partners host a week-long bird banding at Historic Fort Morgan during the spring migration. The banding is a research project where the public is invited to join in. Visitors enjoy unparalleled access to the researchers and their work, with up-close views of some amazing Gulf Coast birds. Check the Orange Beach and Gulf Shores Calendar of Events for the next scheduled spring bird banding event. It’s an experience you won’t want to miss. Each October brings the John L. Borom Alabama Coastal Birdfest, a weekend of birding with walking tours, boat tours and a conservation expo. Birdfest is held during the fall migration and field trips include visits to Fort Morgan and Dauphin Island as well as adventures into the amazing Mobile-Tensaw River Delta. Find out more about this annual festival and all its opportunities for birding on Alabama’s Coast. Plan your vacation now to see what all the fuss is all about. For birders, spring and fall in Gulf Shores and Orange Beach are paradise as you’ll find access to an amazing number of birding sites. For more information, read our Gulf Shores Nature Brochure for tips on how to get the very best of the Gulf Shores wildlife. Book your trip today and find your Gulf Shores and Orange Beach condo rentals, house rentals, or beach hotel today! “Share The Beach” With Endangered Sea Turtles.